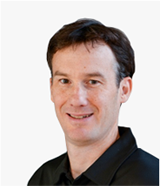 Jonathan is a senior lecturer at the School of Sport, Exercise and Health Sciences at Loughborough University. His research expertise is in Structural Kinesiology (muscle anatomy and function) and Neuromuscular Function (strength and power) and has published over 60 papers in the field. He represented Great Britain in kayaking and is an International Kayak coach. He has a PhD in Neuromuscular Function and Physiology from the University of Birmingham.